There is something about stories set in a single location, focused on just one character, that intrigues me. How can the direction, writing and acting keep the action moving without the ability to use a lot of normal cinematic tricks? 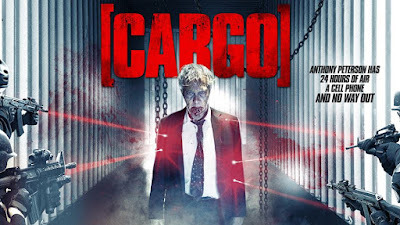 The suspense drama Cargo, about a man who wakes up in a cargo container with a cellphone and only 24 hours to come up with $10 million or he and his wife will be killed, is unable to come up with a solution to that conundrum. The setup, introduced in the opening minutes, is simple. There are then three questions that need to be dealt with to make things compelling. Who is this man? Why should we care about him? How will he attempt to get out of this seemingly impossible situation? The first is answered well enough. Anthony Peterson is a businessman of some kind who is possibly being punished for shady dealings. Okay, fine. But the next question is one of the movie’s big problems. I did not like the protagonist. That is not, strictly speaking, a bad thing. Part of the journey for this type of story is in making an unlikable person likable, or at least understandable. Cargo fails to accomplish either of those things. He starts off angry, mean and selfish and never really changes. When his moment of vulnerability does come, it is wholly unbelievable. He is not sympathetic. I did not care if he survived. Since he is the only character viewers actually get to know, that is a pretty huge roadblock to overcome. In order to get past it, the screenplay would have to hook its audience based on story alone. The twists and turns had to be extra thrilling. Without giving anything away, I will just say they are not. 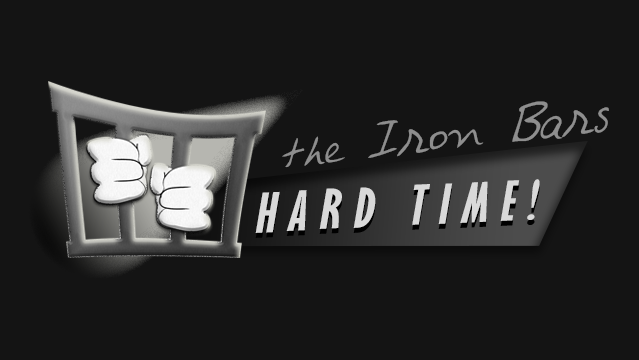 The premise is not built on in a way that is surprising or entertaining. Also, the dialogue is obvious and dull, which certainly does not help matters. There is very little personality here, so Anthony’s phone conversations become repetitive before long. That is unfortunate because director James Dylan (who also wrote/produced) has a couple of mildly successful strategies for preventing “one character, one location” from stagnating. The first is that the cargo container is large enough for both the camera and the actor to easily move around. The second is the clear use of sound so it feels like Anthony is physically experiencing the events taking place on the other end of the phone. Both of these approaches simulate action decently. However, despite the movement, I never got a sense of the container as a tangible place. It exists around Anthony, but he does not interact with it. It is a set and nothing more. As far as the sound goes, it is useful initially before it becomes a crutch. Hearing someone turning on a car or walking gives the illusion of activity. But that is all it is. It is like listening to a radio play. In this case, the audience watches Anthony helplessly listen to exciting things happening. This turns him into an oddly passive character, squandering any cleverness Dylan could inject into his filmmaking. Every movie starts with one idea. Good movies can expand that idea in different directions. Cargo never does. It is a promising concept that could have been effective in a short film. 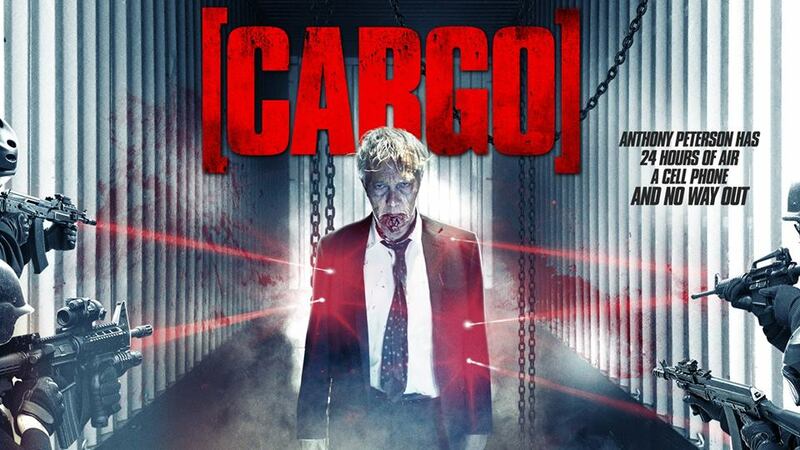 Even with its relatively brief 79 minute run time, Cargo runs out of interesting things to do with it very quickly.